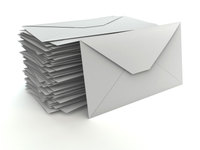 Promote professional business with custom made and printed envelopes. With various envelope sizes available, 1, 2, or 4 color options, this is a sure way to create the professional image you want for your business. Choose from various envelope sizes to be paired with your custom invites, greeting cards, and more!